Sure enough, we found ourselves in a vast savanna, where bush fires and logging have yet to strip the land of its vegetation. 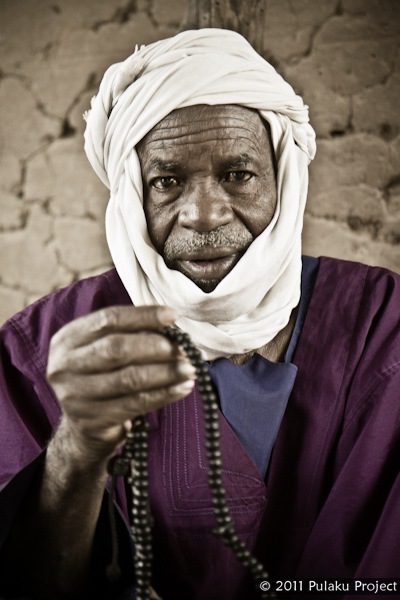 The name “Hajji” is bestowed on those who have performed a pilgrimage to Mecca. 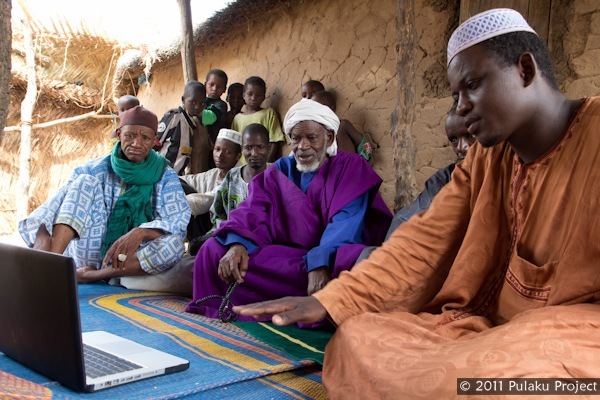 Hajji Idrissa and his advisors watch the Pulaku Project videos. 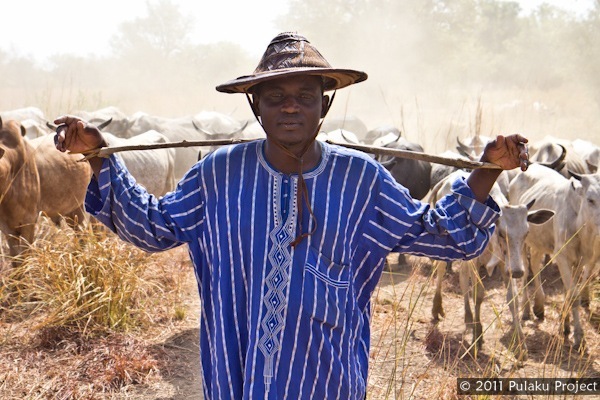 Not only is Hajji Idrissa a respected Islamic leader, but he’s also the owner of several thousand cattle. He was thrilled about our visit, and eagerly invited us to go see his herd with his sons. 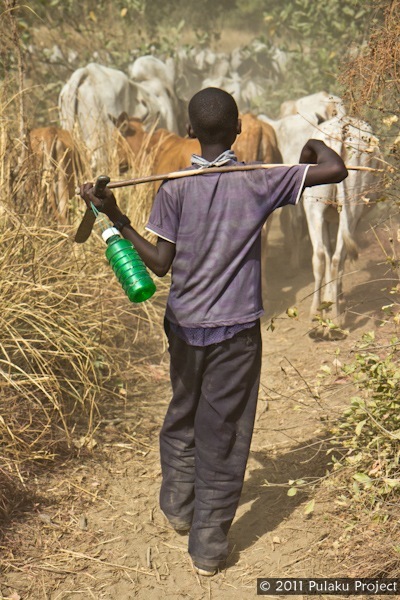 They spend the dry season traveling with the herd in search of water and greenery, carrying nothing but the essentials. 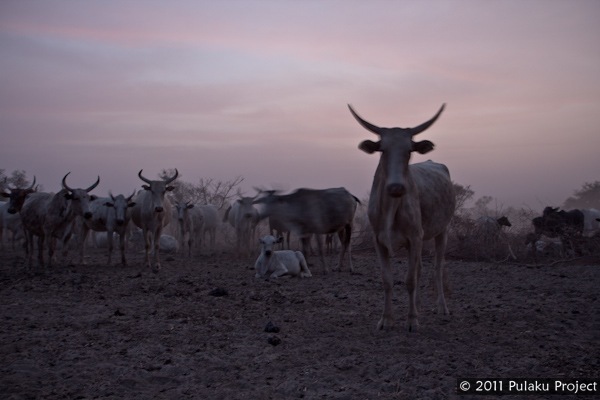 Numbering several thousand, this herd is amongst the largest in Ghana. Idrissa’s sons work 7-day shifts with the herd. 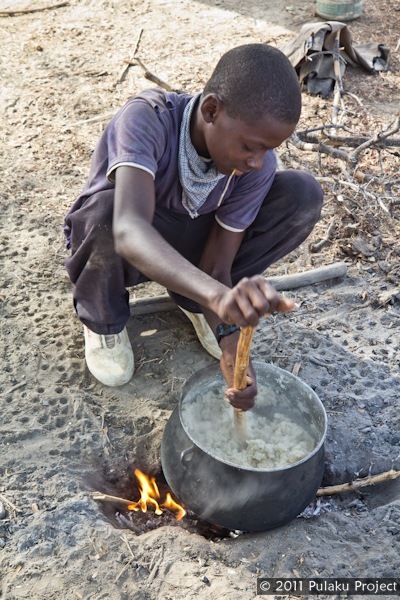 We spent the night under the stars with the boys, and the next morning Souleymane prepared wesselari, a thick cornmeal porridge. 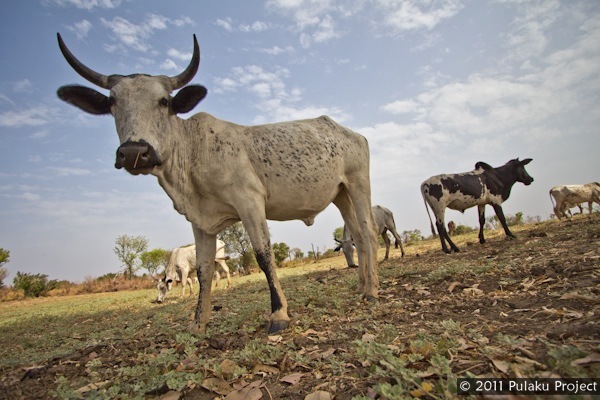 Each day, the boys head out to pasture, walking 10-15km with their cattle. 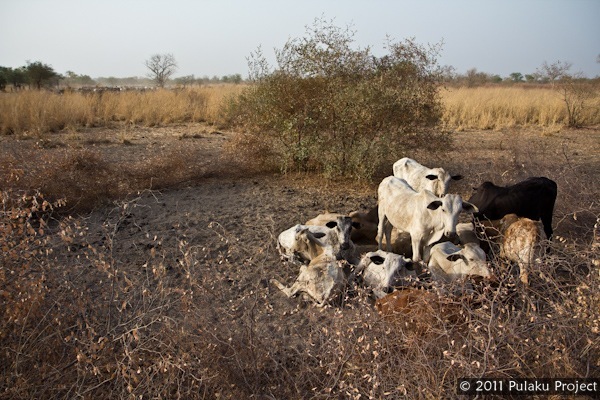 The youngest calves are enclosed in a circle of thorny branches to prevent them from following their mothers into the bush. 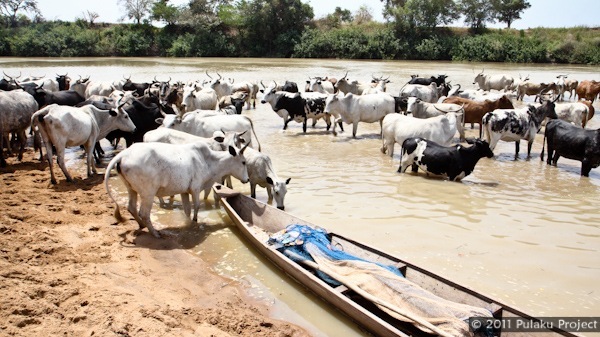 The herd drinks from the upper White Volta River. Well hydrated, they spread out in search of green vegetation. Meanwhile, the boys rest in the shade. 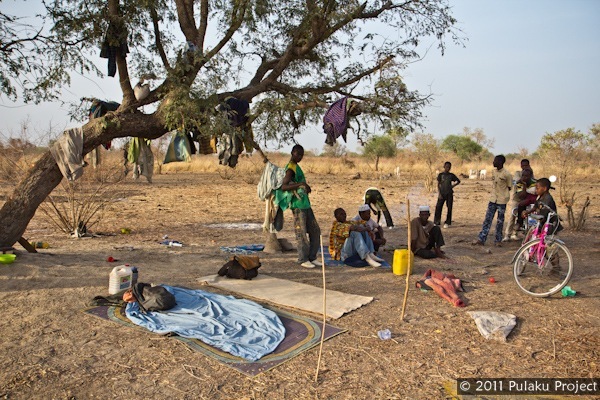 At the end of the day they return to camp, where they’ll milk the cows, eat more wesselari, sleep under the stars, and continue the cycle. Amazing images, Christoph. 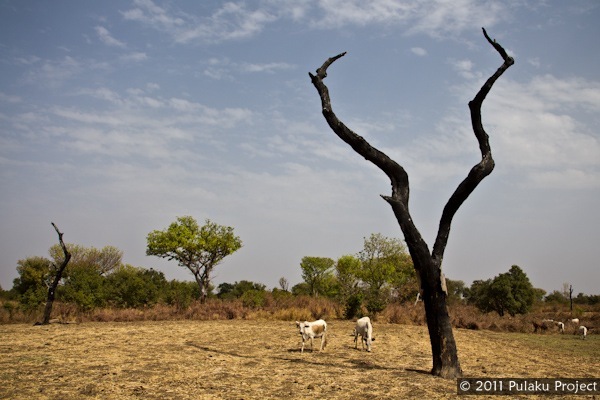 Trying to keep those cattle alive in the dry season looks unbelievably challenging. Beautiful. We especially liked this video. Carl, too. My grandpa raised cattle, and he would have found this very interesting. I wished that he were alive to watch it with us, because I know he would have enjoyed it. 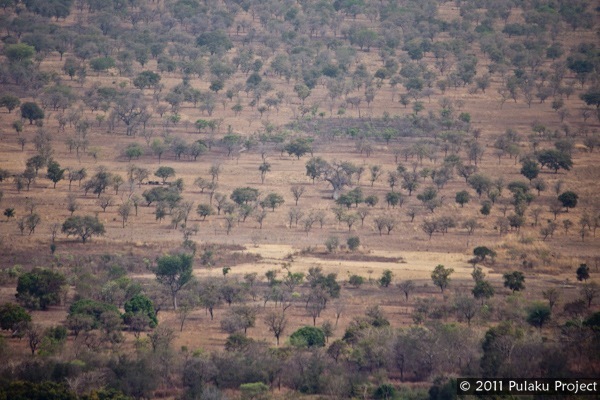 The plains of Ghana reminded me of the plains in Mali. No burning there, either. Nice pictures. It remains me of my childhood when i use to carry out the same activity with my elder brothers. 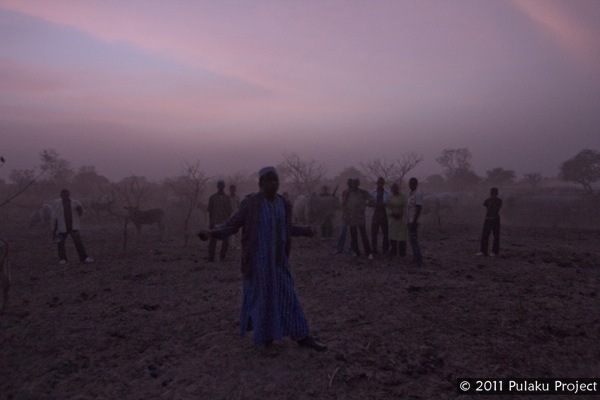 But nowadays in cameroon some of our younger fulani brothers are not oppotuned to undergo this search for pasture. Because being in an evolving environment( encroachment of towns to grazing areas; education…) our parents prefer to stay in town while handing the responsible of his catttle to sheperd and their children just play supervision rule. Guys i will like to ask you a question; why is it that you have not visited central africa? 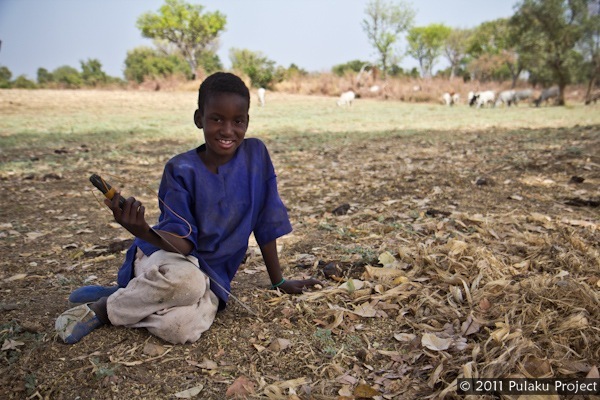 cos many fulani kin groups are spread over in the countries of this region exple. Cameroon where i am. 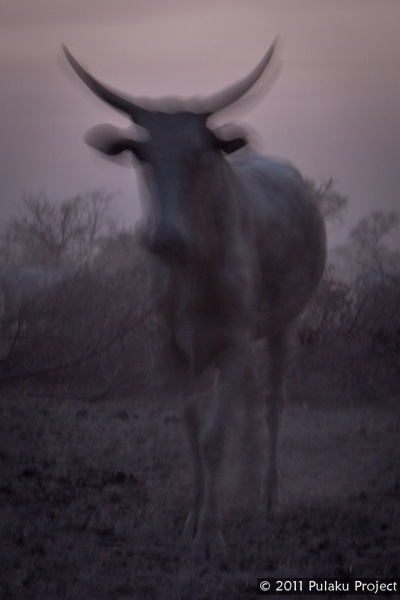 Believe that i have a fulani neighbour who has 22.000 cows and about 3.000 horses.